PayPal is owned by an American company called PayPal Holdings Inc. and they operate a worldwide online payments system that gives its users the opportunity to send and receive funds online. Most of us already have a little knowledge of what a what a PayPal account is and have used it to make payment and receive payments online. 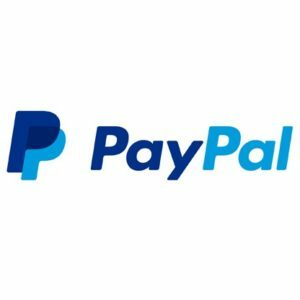 Actually, this post is majorly for those that are in dire need of more information about what a PayPal account is, how to open a PayPal account and also how to verify a PayPal account in South Africa. Through this post, well be telling you everything you need to know about PayPal South Africa, how to get one and also make use of it effectively. On the next page, fill in other necessary details like your full name, date of birth, and address. Make sure your address is the same as one of you filled for your bank account. After activating your PayPal account, the next process is to get the PayPal account verified. This is gonna involve you having to link your MasterCard or Visa Card to your PayPal account. After filling in your card details, then click on Save. A small token of $1.95 will be deducted from your bank account as this is done to verify ownership of the debit card linked to the South Africa PayPal account. The deducted amount will be refunded at a later time. There is actually no fixed exchange rate for PayPal funds as it can be sold at any price you agree with your seller. Though if you are trying to make payments with your debit card using your PayPal account, you will be charged based on the rate of the bank. So all that actually matters is your current bank exchange rate, so you have to keep on checking your various emails every single day to know your local bank exchange rate. Choose the one that pertains to you either yourself or your business. Then choose I do not bank with FNB. Log into your validated FNB Online Banking account and go to the “Accounts” tab. Click “PayPal Services” in the menu on the left.